All humors don’t necessarily end in laughter. The cartoonists of the French Cartoon magazine ‘Charlie Hebdo’ learnt it in the bullets’ way when fundamentalist Islamic militants stormed the magazine’s office in Paris to avenge, what they reportedly shouted in streets, “the insult of Prophet Muhammad”. The three militants barged into the building’s security gates holding guns on a woman employee and forcing her to use her security codes to let them get inside. For the next 5 minutes it was mayhem in the building as bullets rained on unsuspecting journalists killing 10 of them on-spot. Later, the gunners, while fleeing, also shot down 2 policemen in the streets raising the on-spot toll figure to 12. 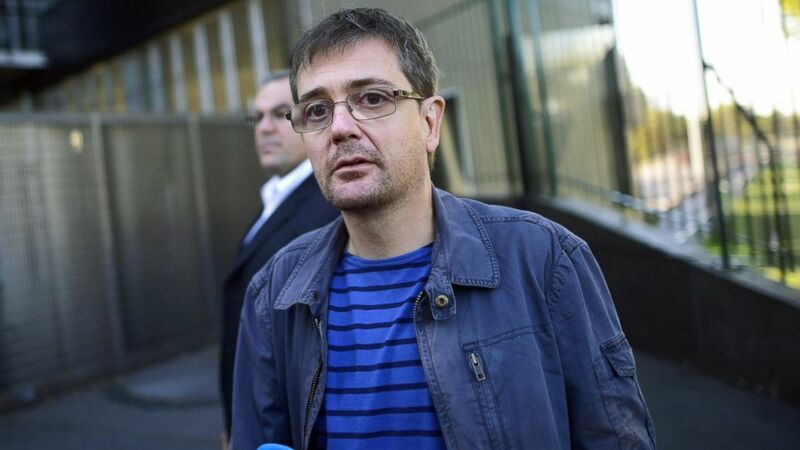 The attackers liquidated 4 of the key figures of Charlie Hebdo, including magazine’s editor and chief cartoonist, Stéphane Charbonnier, nicknamed “Charb” – who appeared on a “most wanted” list published by Inspire, al-Qaeda’s terrorist propaganda magazine in 2013 – and Jean Cabut, known as “Cabu”, a celebrity cartoonist who had the fame of being the highest grossing cartoonist in the world. The other prominent cartoonists to fall to the bullets were Georges Wolinski and Bernard Verlhac, nicknamed “Tignous”. However, an adventitious and fortuitous trip to London saved Gerard Biard, the editor-in-chief of Charlie Hebdo. Charlie Hebdo’s brush with Islamic hardliners is nothing new. In late 2011, the magazine came out with a spoof issue “guest edited” by the Prophet Muhammad commemorating an Islamist party’s victory in Tunisian elections. 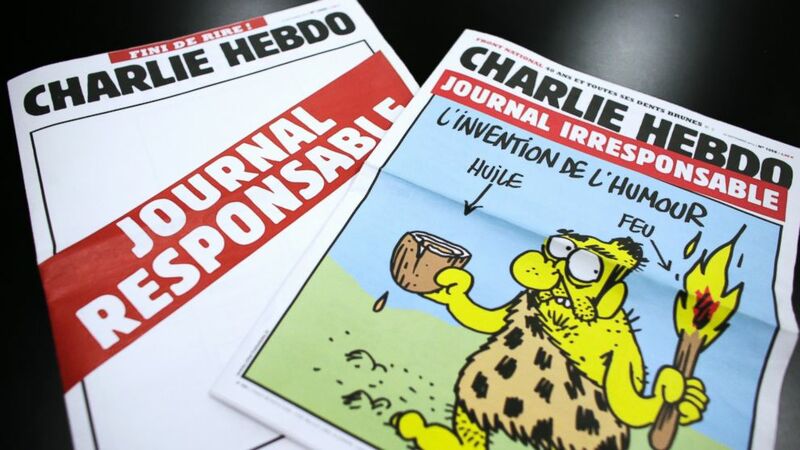 To mock the Sharia law, the special issue was named “Charia Hebdo,” which ran a cartoon that showed Muhammad uttering “100 lashes if you don’t die of laughter.” The office of Charlie Hebdo was bombed and fired and later its website was also hacked and defaced while the employers received calls giving death threats. Charb had previously defended a controversial series of cartoons depicting the Prophet Mohammed in 1011-12, saying: “Muhammad isn’t sacred to me. I don’t blame Muslims for not laughing at our drawings. I live under French law. I don’t live under Koranic law.” Smugness, though. I shudder to remember the Blasphemy laws of Pakistan, Iran and Saudi Arabia and imagine what would have happened to these guys, had they been there. A cartoonist at Charlie Hebdo, Laurent Leger was quoted by the BFM TV in 2012, “The aim is to laugh…. We want to laugh at the extremists — every extremist. They can be Muslim, Jewish, Catholic. Everyone can be religious, but extremist thoughts and acts we cannot accept.” Gerard Biard, the chief editor, defended the magazine by describing it as “atheist,” “democratic,” and a supporter of “laïcité,” France’s secularity. Humor is dangerous if used as a tool to reason with a fanatic, and more so if the fanatic swears by a mission to defend his religion. Cartoons are a great means to put people, ideas and institutions to rational analysis and help in correcting human charades by poking fun at them. That’s why humor is greatly valued in modern societies and seen as a means to celebrate differences in popular culture. However, two questions that pop up are important and need thorough debate. The first is: Do cartoons – or for that matter journalism, art or cinema to broaden the debate – need to draw a line while dealing with the matters of religion and faith? Do we need to insulate the Bible, the Quran, the Geeta and all forms of religious symbols from secular analysis and keep such things out of the ambit of humour, satires, fun and travesties? Or the spirit of positivism and liberalism lighted and brightened over hundreds of years of human progress celebrating rationality, secularism and spirit of enquiry need to be kept afloat? Should progressivism come down on its knees in the face of violent opposition of few misguided fundamentalists or the flame of rationalism must remain strong and counting? Like Buddha said, the key to solution is the middle path. Balance is the answer between freedom of speech and violation of faith. Treading the path of religion with fun and sarcasm is not a prudent idea. After all, in a world where many wars on opium have already been fought, faith is the most toxic opium. Yet, the second question arises: should the modern world fall in subservience to the browbeats and bullies of few jihadist fundamentalists? I believe that the Islamic jihadists are terrorists with no ideologies but violence, hence the progressive forces of the world, believing in the ideologies of tolerance and co-existence, need to fight back the challenge posed by those savage and primitive forces of Islamic fundamentalists representing devilry, terror and backwardness. Now, the jihadists have adopted a more sinister strategy of carrying out localized, focused, small-intensity attacks on chosen targets, who are the perceived enemies of Islam. The various past incidents of religious fundamentalism and jihadist violence happening all throughout the globe make me feel that a clear contour of the ‘Clash of Civilizations’ – as foreseen by Samuel P. Huttingtton in 1993 where he prophesied that in the (then emerging) unipolar world, the next wars would be fought on various forms of identities especially religious ones – are emerging now. Hence, now is the time to take sides. It’s the time all the progressive forces of the world see through this plan of the fundamentalist/jihadist forces and come together to fight them to defeat their primitive ideologies of violence and terror. Let the progressive, rational, positive, modern world have the last laugh.